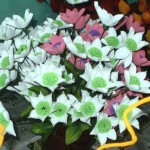 BELGAUM: Whether real or plastic, flowers are an important element in room décor. Flowers help a room look fresh and welcoming. 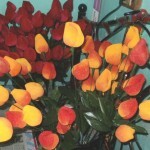 But getting fresh flowers each day is not easy and also a costly affair. 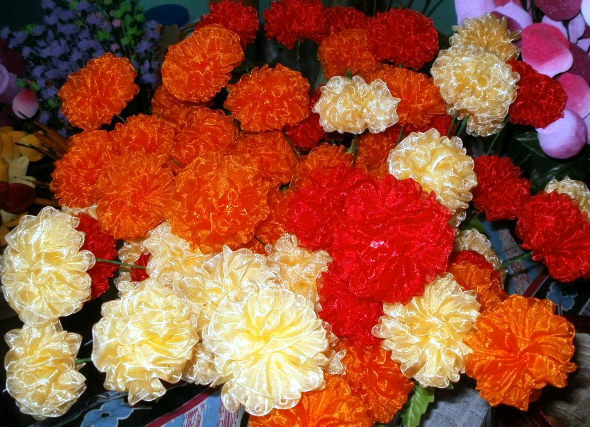 About 10 years ago we had the rise of the use of artificial flowers many of which looked fake. 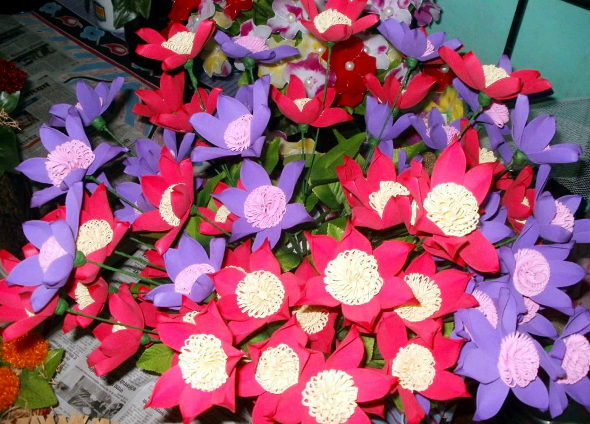 The term ‘fake’ flowers is very rarely used anymore. 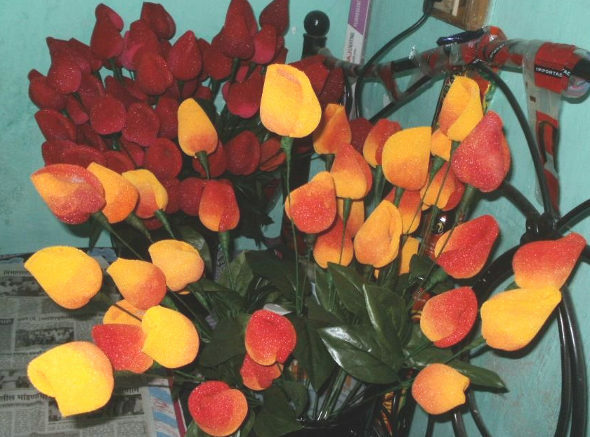 Artificial, permanent, life like and heirloom are all descriptions of today’s fake flowers. 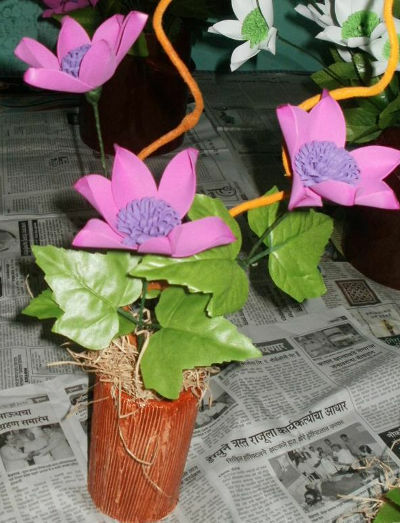 Keeping the same idea in mind four women from Belgaum who had this hobby of making artificial flowers using different mediums have now come together and created some beautiful flowers which are unreal until you see them closely. Meet, Mrs.Arti Apte, Mrs.Lata Nagare, Mrs. Snehal Jadhav and Ms. Shruti Kowadkar. 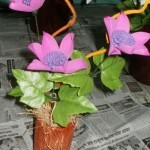 They started creating artificial flowers since two years and also participate in different exhibitions to market their products. 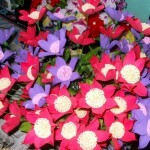 They normally do it on orders but as it is Diwali season and each one wants to make his home a better and more vibrant place to live in, these flowers will add that spice. 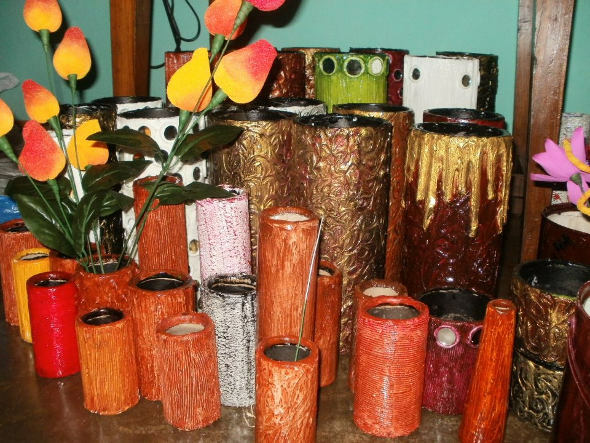 They make flowers and flower pots, lamp shades and also torans. Prices range from Rs.15 to Rs. 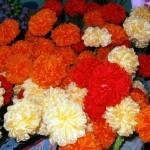 40 per flower and it depends on how big it is and what materials are used. 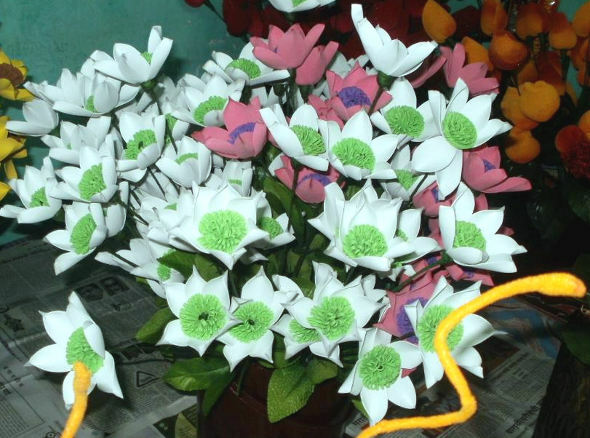 All the materials required are got from Pune and currently for over a month the four are working for more than 12 hours a day to get the flwoers ready for their stall at Aavishakr exhibition. 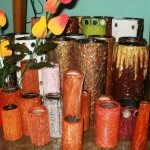 One can visit their stall No.57 at the Aavishkar Exhibition at Maratha Mandir from 2nd to 4th November, 2012.